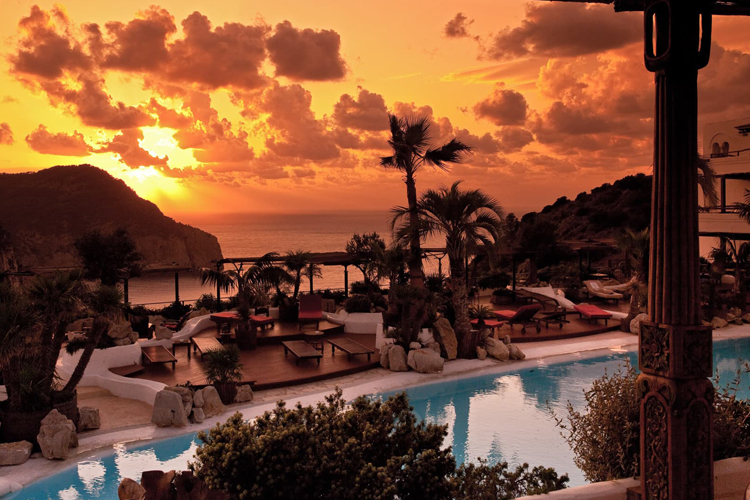 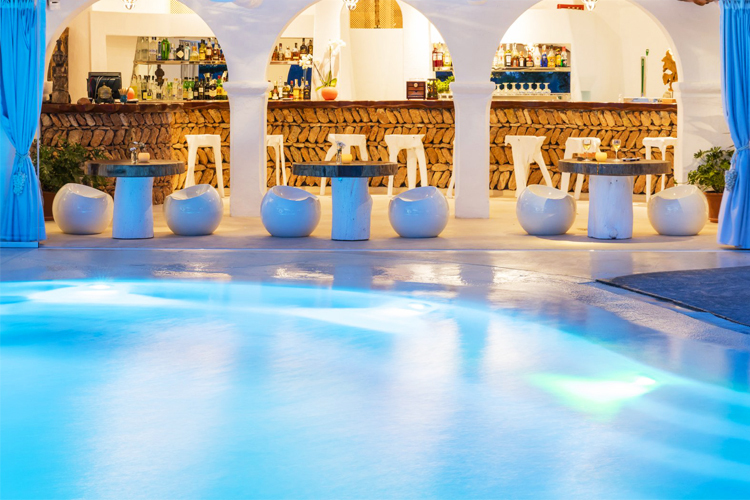 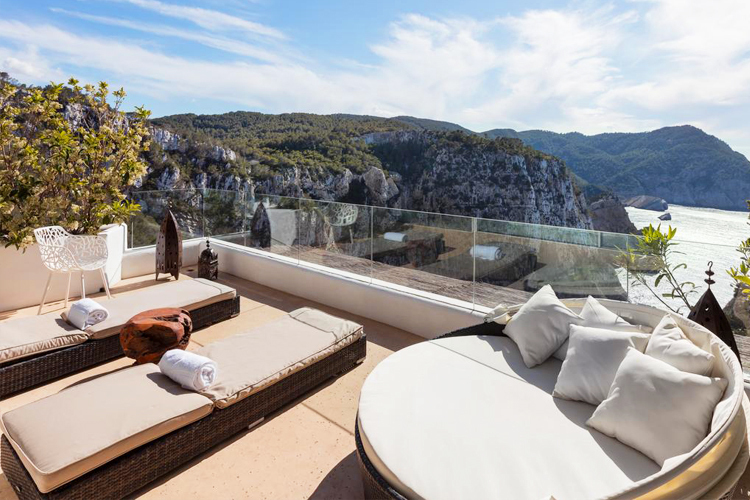 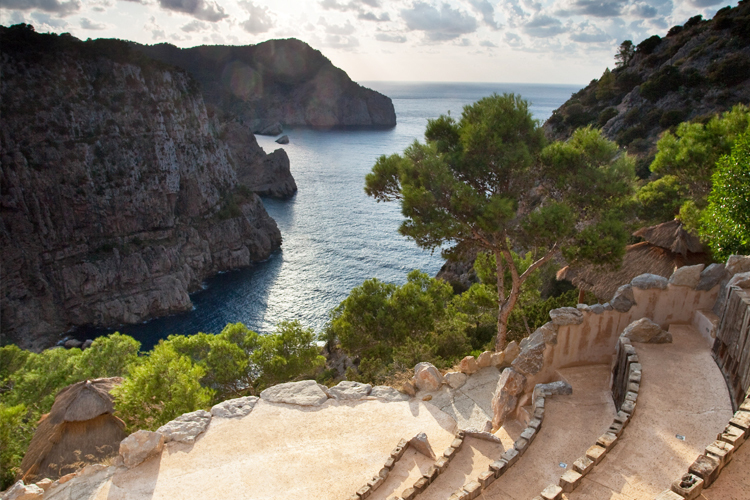 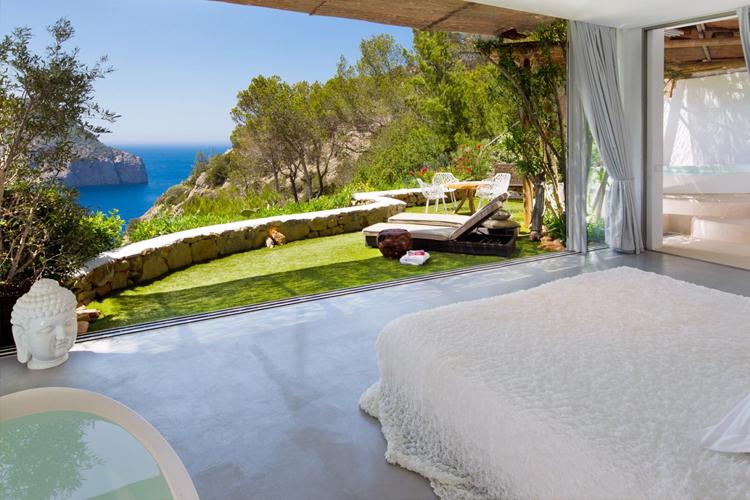 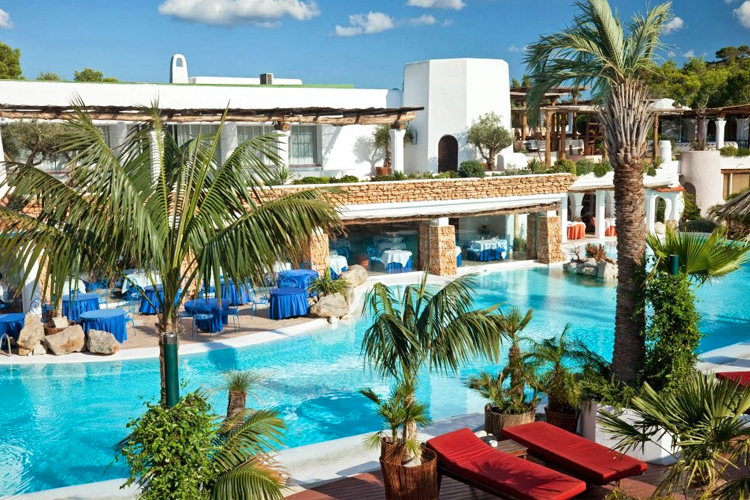 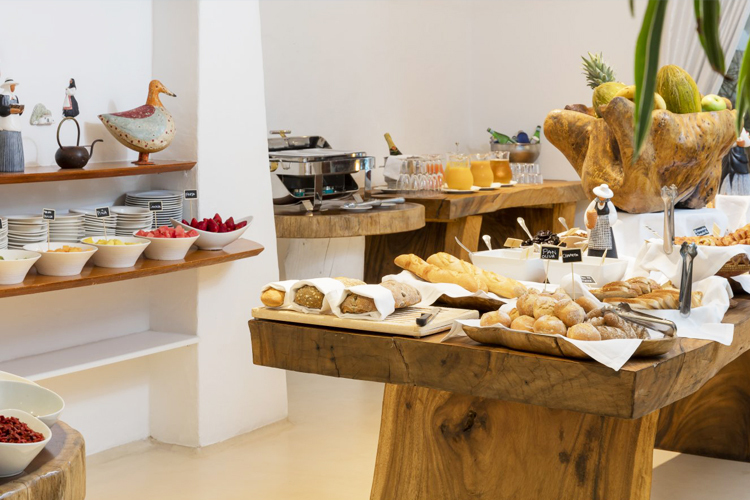 Situated on the cliff top of Ibiza’s northern coastline in Na Xamena, the beautiful Na Xamena Hotel / Hacienda offers stylish, zen-style rooms with stunning sea views. 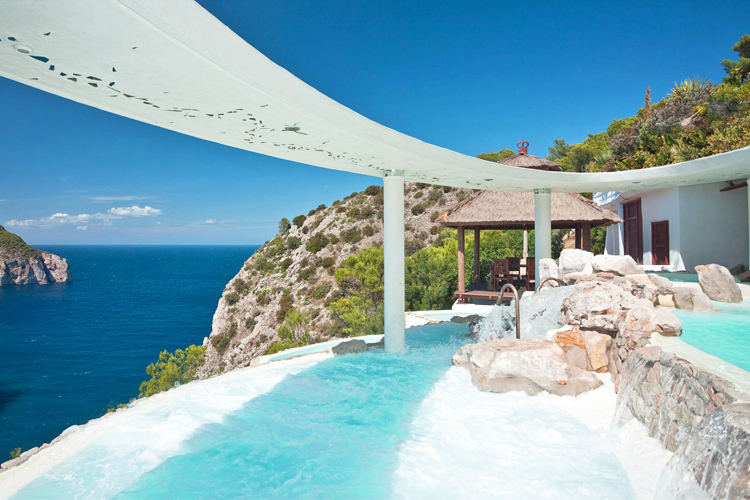 The spa includes indoor and outdoor areas, including a thermal circuit with suspended waterfalls. 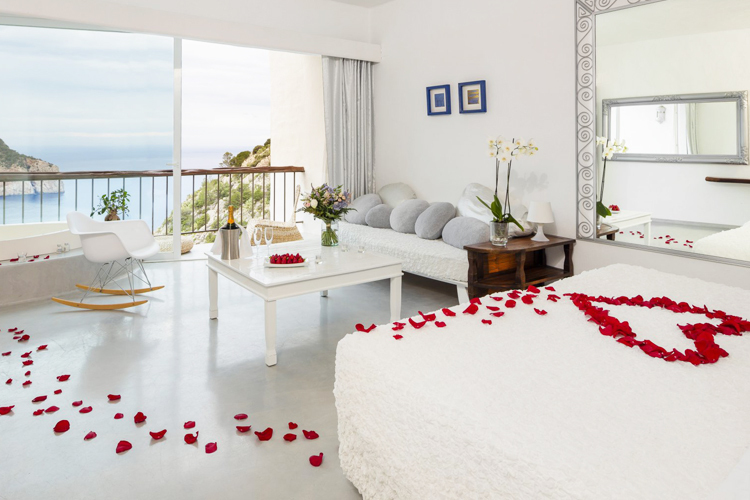 The property offers a romantic setting and many attentions for couples, including a special bridal night suite. 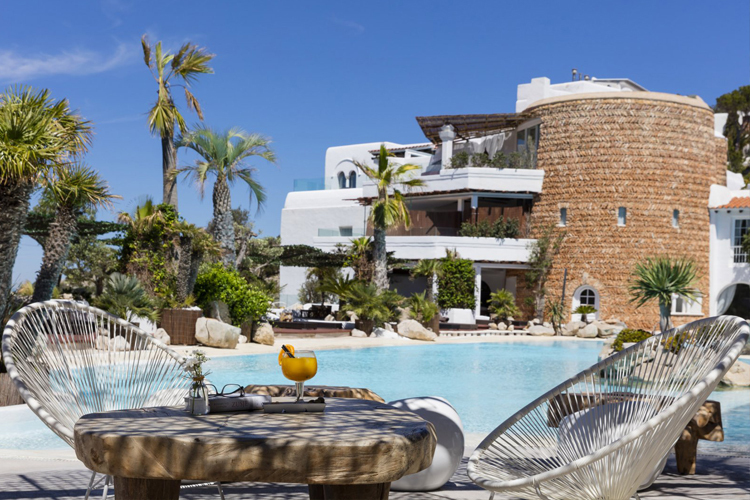 The hacienda is an 18-minute walk from the beach, and a 30-minute drive from downtown San Antonio, as well as the famous hippie market of Es Canar.